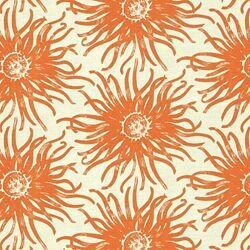 Miranda papaya orange fabric by Alfred Shaheen is sold by the yard. Please select quantity as 1 for each yard needed. Message me if more yardage is needed then what is listed in stock.